These were carved to be included in a mahogany desk. 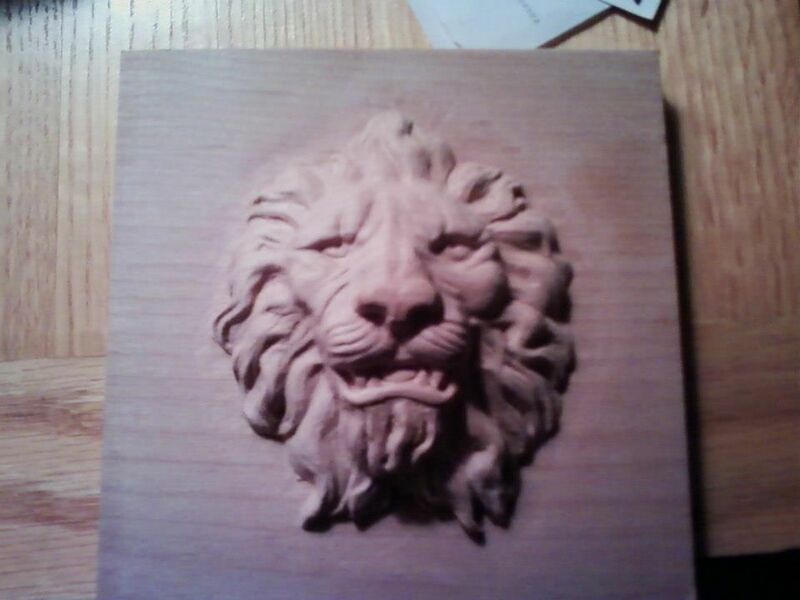 The lion heads were carved on 5" x 5" mahogany blanks to be included by our customer in the final desk. Price shown was for each carving.